On April 29th, at our 2nd Annual Literary Debutante Ball, One Story will be celebrating five One Story authors who have published their debut books over the past year. As a lead up to the event, we thought it would be a fun idea to introduce our Debs through a series of interviews on their debut book experiences. 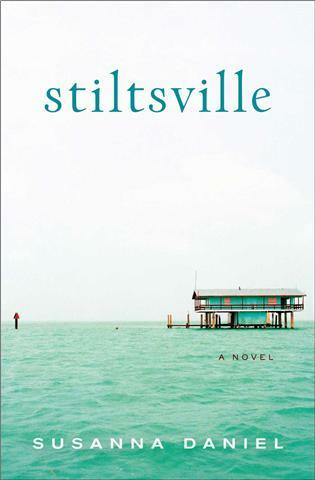 Stiltsville offers a gripping, bittersweet portrait of a marriage — and romance — that deepens over the course of three decades, set against a vivid and lush South Florida background during the years of Miami’s coming-of-age. Named one of Amazon’s Best Debuts of 2010 and a Barnes and Noble Discover Great New Writers pick. I found out that my deal was signed via email, when I was working a full-time job, so there wasn’t much to do except turn around — to people who didn’t even know I wrote — and say, “My book is going to be published by HarperCollins.” They were puzzled, but happy for me. Then my good friend, a writer who published widely before I did, told me that she’d heard the book release day termed “the calm before the calm.” No one is going to throw a party for you, she said — so you have to do it for yourself. I meekly mentioned to my husband the idea of a little soiree at the house, and he said, “Let’s have a really BIG party!” We went all out for 130 guests in my house and backyard two days before the release, and my husband gave a introduction that stirred many to tears and totally upstaged me. Then on the day the book came out, we drove to a local bookstore and took a photo of my book on the shelves. 2) You published an excerpt of Stiltsville with us in One Story. What happened from when you published in One Story to when your novel was released? Publishing an excerpt in One Story was the best possible way to introduce my book to the world. It was such an honor at the time, and continues to be. I’ve been a direct recipient of One Story‘s commitment to its contributors and to the literary community. 3) During the editing of Stiltsville, was there any single piece of advice you received or perhaps remembered from earlier in your career that helped ease the process? I’d taken a great many years to write Stiltsville, so the editing process was pretty smooth. My editor did call late in the process to say — in a gingerly tone — that she thought the book might be stronger with one chapter cut. This chapter was the first part of the book I’d ever written (though it fell midway through the story), and it had been anthologized and had earned me two fellowships. The fact that it was now the weakest link in a novel struck me as fantastic news, almost like a reward for the work I’d done over the years. I immediately set to work eliminating the chapter and reworking the time-line. One piece of advice I’d received early on was that a first novel should be short and tight — 300 pages or fewer. This advice is sort of strict and specific, and of course doesn’t apply to many stories, but for my book it was fitting. Cutting that weak chapter strengthened the novel as a whole and kept the book tight. 4) The landscape of South Florida is treated with such meticulous care in your novel to beautiful effect. How do you think place influences your writing? Many readers assume that the first novel is autobiographical, and sometimes it is — but often, I think, the setting is the most autobiographical part of any story. I don’t write fantasy stories, so the place and period of my work is essentially true, even historical. Florida is my past, which gives me the distance I need to use it as a setting for fiction. Stiltsville, specifically, is a perfect setting for domestic drama: it’s an island, essentially, and when a writer places her characters on an island, something is bound to be revealed. I relish the opportunity to be with people who regard literature as highly as I do, of course, and also I think there might be dancing. For more information about Susanna and Stiltsville, check out her author website. This entry was posted in Author Updates, Events, Issues, One Story News, Publishing News, Short Story News, Uncategorized by Sam Katz. Bookmark the permalink.